Malaysia’s focus now is to improve the quality of existing railway services, he said. However, he said Malaysia might need to build a high-speed train later on, maybe from Johor Bahru to Penang or to the Thailand border. "So we will not build the high-speed train yet, but we want to improve the quality of services given by our railway system, and that has been done to some extent, by double-tracking and electrification," he said at a question-and-answer session after delivering his speech at Technomart Rail 2019 showcase in Putrajaya today. 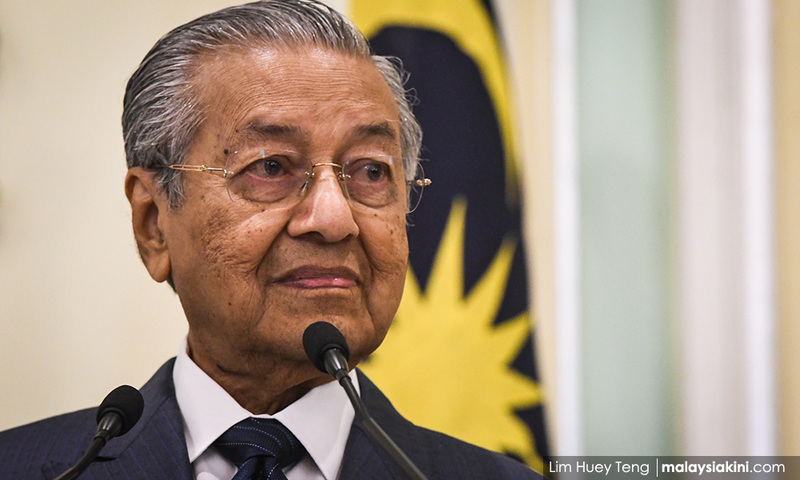 Mahathir said the high-speed train was not worthwhile if the journey is only shortened by about 30 minutes as people need to spend time to go to the train station. "If the line is long enough and save about two to six hours then I think the high-speed train would be the answer," he said. The Kuala Lumpur-Singapore High-Speed Rail (HSR) project was suspended in September last year until the end of May 2020 following the signing of a supplementary agreement between Economic Affairs Minister Azmin Ali and Singapore Transport Minister Khaw Boon Wan. Asked by the media if the government was in talks with Singapore for the HSR project to be carried out later, Mahathir said: “For the time being, we are not going to build (it). We asked for two years before we talk again about the HSR. At the moment, we have not given out any contract, but we have to compensate Singapore later." When asked whether the government would consider some form of tax reduction for rail industries, Mahathir said the government would take note and might change the tax system.